It is the clearing of forests on a massive scale. The trees that are cut down typically are not replaced with the natural growth of new trees or the manual replanting of new trees. are a few of the biggest reasons for deforestation. However, deforestation can occur unintentionally. For example, through the natural occurrence of wildfires and overgrazing which prevent the growth of trees. How does deforestation affect the environment? outside of it. 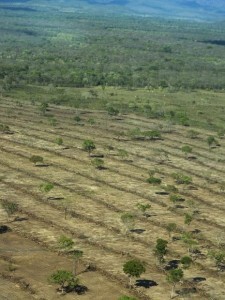 Deforestation is connected with climate change. The top of a forest is called a canopy. When part of the canopy is missing, the heat that would normally be stored beneath it escapes leading to extremes in temperature. Also, if part of the canopy is missing, the sun will dry up the normally moist dirt creating a dry desert. Forests hold significant amounts of carbon dioxide and again when the trees are cut down, this gas escapes into the atmosphere causing climate changes. How can we manage this problem? Since we cannot simply just stop cutting down trees altogether, there a couple alternatives that would make a difference. First, when trees are cut down they ought to be replaced with equal numbers of new ones. Currently, this ratio very unbalanced. Second, eliminate clear-cutting which is the method of logging that removes all trees from a certain area of a forest. Paraguay, and supports thousands of animal species. 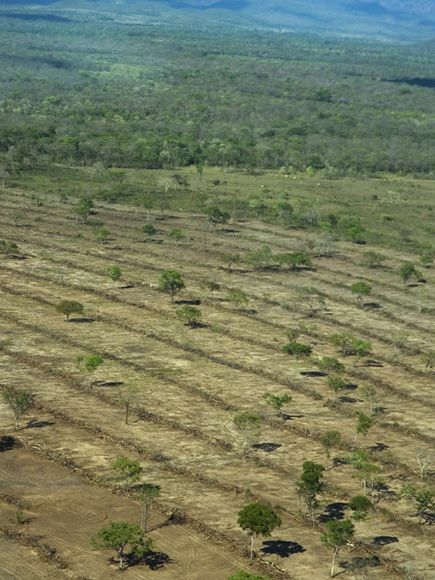 Why is deforestation an important topic regarding Latin America? Another reason can be attributed to the aforementioned consequences of carbon dioxide that is released in the atmosphere when deforestation occurs. On a larger scale, 49 percent of Latin America and the Caribbean’s land is covered by forest according to the Food and Agriculture Organization (FAO) of the United Nations “State of the World’s Forests” 2011 issue. (http://www.fao.org/docrep/013/i2000e/i2000e01.pdf, p.17-21) The point to remember is that Latin America holds a significant amount of the world’s forests. Therefore, it becomes a global issue affecting all people when forests are being eliminated because we all suffer the consequences whether we are five miles or five thousand miles away. Indigenous peoples also live in the Pantanal such as the Kadiweu and Terena – both recognized as highly skilled ancestral agriculturalists. To assert that family agriculture is responsible for deforestation in this region when the advance of corporate monoculture is resulting in genocide of indigenous peoples, toxification of land and water etc, is to ignore the major pieces in the puzzle.